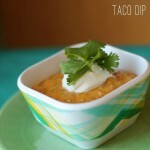 If you enjoy hearty dips, this Easy Taco Dip is sure to deliver. You can make it as mild or spicy as you like and serve with tortilla chips. This is the perfect game-day dip to serve to a crowd or take with you to a friend’s house. 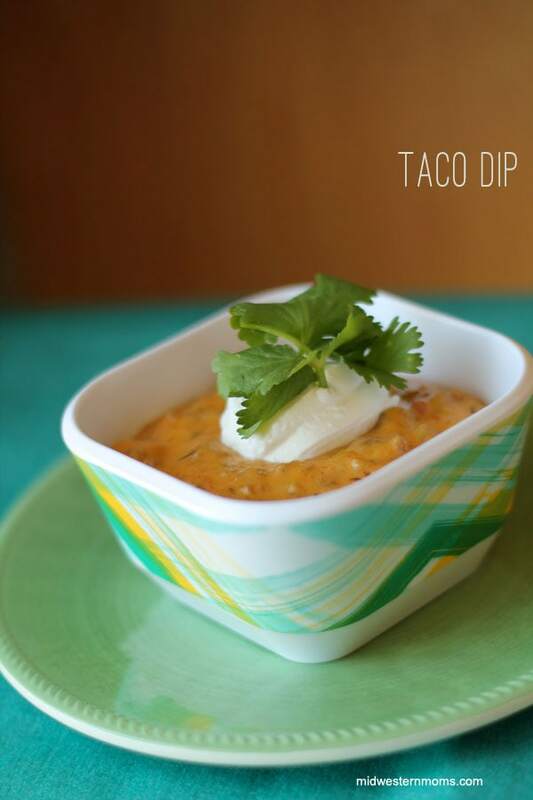 I love this dip because it is a great way to spice up the traditional hamburger queso dip. If you are looking for another way to use queso dip, make sure you check out our Egg, Sausage, and Queso Breakfast Sandwich Recipe. If you love taco flavored dishes, you need to try these: Taco Bake Casserole Recipe and Taco Mac and Cheese! If you enjoy hearty dips, this Taco Dip is sure to deliver. You can make it as mild or spicy as you like and serve with tortilla chips. 2/3 –16 oz. block of Velveeta cheese, cubed. Add cumin, taco seasoning, and 1 can of Rotel, drained. Cube about 2/3 of the block of Velveeta cheese and add to the hamburger mixture on medium heat. Allow the cheese to melt. Remove from heat and serve warm with tortilla chips.